Teddy's back from his gap year and he's brought some bangers with him! Ed Sheeran is known the world over as everyone's favourite ginger. He doesn't really get involved in any of that fame drama either. A real likeable lad. He always dresses like that guy you went to prom with in high school, looks like he'd never hurt a fly, and he's not exactly what you'd call the edgiest of characters. We were determined to prove, though, that Ed Sheeran is an interesting guy so we compiled a list of the most interesting things about our main man Ed. 1) He names his guitars. These names include Lloyd, Felix, Cyril, and Nigel. 2) Ed's video for Lego House features an equally red haired Rupert Grint as an obsessed fan. Despite being actual Ron Weasley, Grint often gets mistaken for Sheeran. 3) Nearly all of Ed's tattoos have something to do with his career. He's got a Lego head, the word 'Bloodstream' and tat honouring his first single, 'A-Team'. 4) He's even got a tattoo of the logo for The Fresh Prince of Bel Air on his arm because it's his fave show. 5) AND he's got the name of Taylor Swift's album RED tattooed onto his arm. He toured as her support act on the North American leg of the tour. 6) In fact, Ed has over 100 tattoos including a ketchup bottle and the words 'your name' on his left arm. 7) Ed wrote 'Don't' about Ellie Goulding and Niall Horan hooking up behind his back. 8) The music video for 'The A-Team' only cost him £20. Bargain. 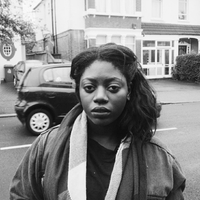 9) Ed Sheeran removed all the explicit lyrics from X so his cab driver's daughter could listen to it. 10) GQ Voted Ed the 'Worst Dressed Man of 2012'. 11) Ed Sheeran has written four songs for One Direction. There's 'Little Things', 'Moments', 'Over Again' and '18'. 12) And he even wrote a song for Hilary Duff called... you guessed it, Tattoo - but it was unreleased. 13) He's friends with actual real life Monica Geller from Friends, Courteney Cox. He once lived in her house in Malibu rent-free. 14) The first concert he ever went to was Green Day at Wembley Arena. 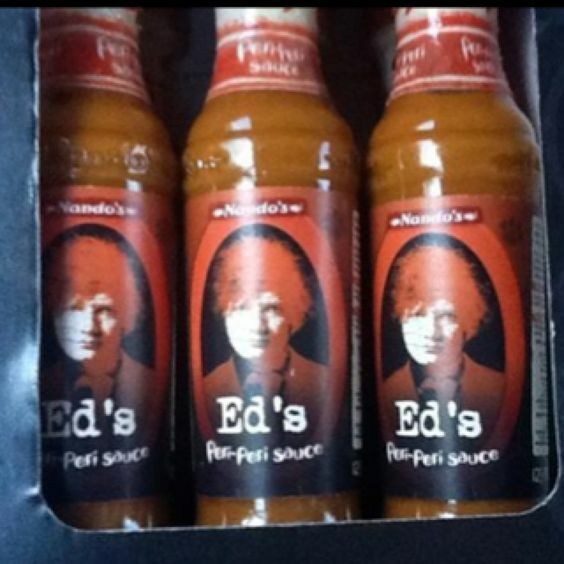 15) He's got an official Nando's sauce named after him.